DCP’s own Basil Abbott has just won a ‘museums Oscar’ for the Tom Paine Festival. He has won a Museums & Heritage Award for Excellence in the category of Best Project on a Limited Budget. 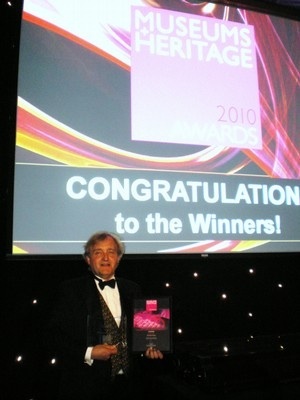 Diss Museum manager Basil received the award at a ceremony in Westminster on May 12.